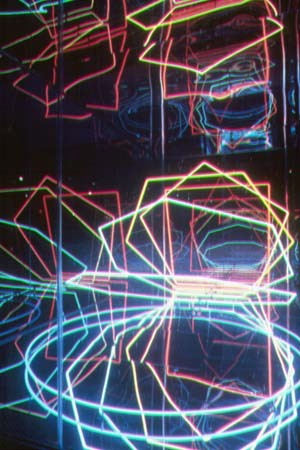 Neon, TTL Logic computer, acrylic mirrors, stainless steel, concrete and tempered glass. Permanently installed at the Art Gallery of Ontario at Beverly and Dundas Streets, in Toronto. A new program is generated each day, for two years.